Have you planned to move your office to a better borough where more people will be able to visit it? This is a great idea and it’s worth taking advantage of it because you can raise your income (and this is something that every good businessman like you wants). But is it enough to change the location of your office in order to attract clients? Here you’ll discover a few other tricks that will let you discover how to make the most of your new office and make some more cash. There is no question at all that location is the most important requirement for success of your business. No matter what exactly is your field of work, people should be able to find you easily. That’s why before even think about office removals London you have to select the best location of your new place of business. 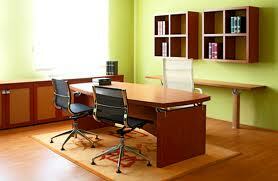 Arrangement of furniture and colours of rooms is another trick that could help you make the most of your office. By some researches people are willing to spent more money if they’re in a comfortable and cosy atmosphere. Bear in mind that when you’re selecting pieces of furniture or paint. Light green and orange are a perfect choice for your new business place. Furniture should be comfortable – stake on leather and light colours. Of course, you have to take care of your employees too. Make sure that your new offers could offer them everything they need to give the best of themselves when they’re working. Changing your office location could be pretty expensive so you might be worried how you’ll create a cosy atmosphere in your new business place. Of course, you won’t be faced with such a problem if you discover cheap removals London. Bear in mind that and cut down your moving expenses and you’ll have enough cash to make the most of your relocation.